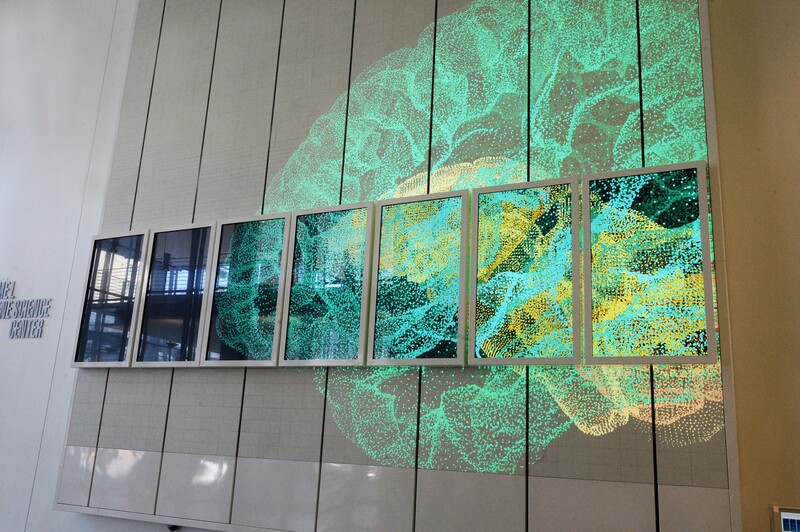 The Brain Index, an interactive digital art installation, has opened in the Jerome L. Greene Science Center on Columbia’s Manhattanville campus. Situated in the publicly accessible lobby of the building, the permanent exhibition uses design, games and storytelling to convey the complex research which is conducted in the building to broad audiences. Read more about the opening of the project through Columbia News here.